DO Music Festival will be held in 3 November 2018. Aiming to be the medium of art appreciation, nature’s celebrator & aspiration, DO Music Festival hopes the event will attract people awareness for the matters. 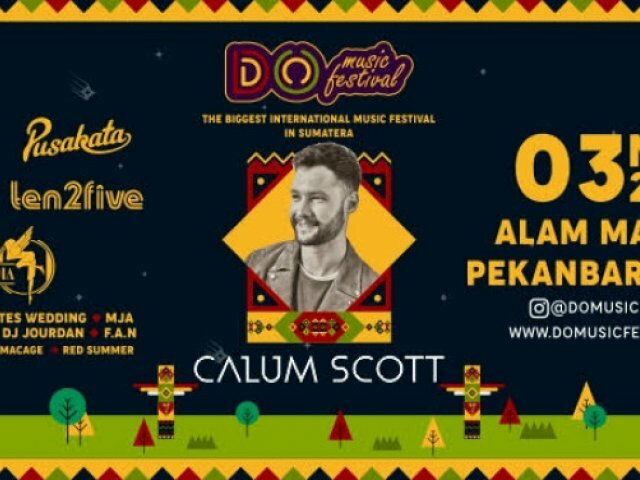 Apart from that, Do Music Festival is the biggest international music festival in Sumatera, especially Pekanbaru, Riau, with strong nature concept. That’s why, DO Music Festival will present the biggest celebration of international music in Pekanbaru, bridging art aspiration that is packaged in one entertaining & striking performances for the attendees.